After the latest negotiations between Donald Trump and Xi Jinping, the world gained hope for an end to the customs war between Washington and Beijing, which dominated the last year. Meanwhile, one organization after another managed to reduce their economic growth predictions for most countries, and the information coming from the Polish industry are starting to worry economists. In the opinion of Rafał Kierzenkowski, an OECD representative, free trade is a precondition of further worldwide economic development. In November 2018, the OECD has reduced its growth predictions again, both for most economies of the world and for the global GDP. The latter is to drop from 3.7% to 3.5% in 2019. As late as September, the organization was convinced that the previous year’s result could be repeated, and last May, it predicted growth at a level of 3.9%. The Eurozone economies are to grow by 1.8% on average (the September prediction was 1.9%). The reduced predictions for 2019 reflect the deteriorating prospects, particularly for emerging markets, such as Turkey, Argentina or Brazil. Further downturn in 2020 will result in a greater extent to changes in developed economies, due to a drop in volume of the international exchange, which will be caused by an increase in custom tariffs due to the trade war between the USA and China, as well as the withdrawal of central banks from monetary and fiscal support. According to the data of Eurostat, the value of international trade in goods, conducted by 28 states of the European Union (the sum of external exports and imports) in 2017, was valued at EUR 3.735 trillion. Both imports and exports exceeded the levels from 2016, whereas the increase in the amount of exports (EUR 134 billion) was slightly lower than the increase in imports (EUR 143 billion). As a result, the trade surplus of UE-28 was maintained, although it dropped from EUR 32 billion in 2016 to EUR 23 billion in 2017. In September 2018, the World Trade Organization (WTO) reduced its global trade growth predictions to 3.9%. As indicated, the reason why the growth rate of the global trade would be slower than predicted is exactly the increase in trade tensions between the largest economies and the increase in uncertainty on the main credit markets. On the other hand, 2019 is to see further slowdown of the growth rate, to 3.7%. However, the cease-fire between the USA and China, intended to last for 90 days since early December, may inhibit this drop, provided that it ends in reaching an agreement. The main trade partner of Poland comprises other EU countries, above all, Germany. Between January and October 2018, the exports of Poland increased by 6.5% to EUR 183 billion, whereas imports grew by 9.5% to EUR 186.2 billion. Developed countries accounted for 87% of Polish exports, including the EU accounting for 80.2% and Germany for 28%. All these shares increased in comparison with the analogous period the year before. “If we look at trade relations within the EU, there are very strong connections between Polish producers and their German partners. 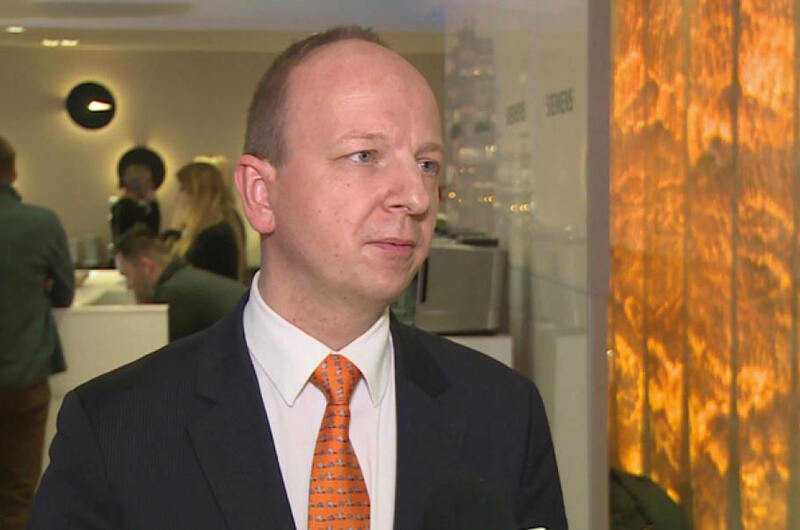 We know that Germany, on the other hand, plays the role of an exporter to global markets, so what happens on global markets indirectly affects Polish producers,” the OECD representative explains. The significance of the condition of our partner across the Oder and Nysa Rivers to the Polish economy has been shown by the latest PMI reading for December 2018. Due to a drop in orders from Germany, the index of moods of purchasing managers in industrial enterprises dropped to the lowest level since 2009 and it has remained below the limit of 50 points for the second month in a row, which means deterioration of conditions in the production sector. Brexit - What happens next in Britain?